Halifax in the 1840s. New government, new Dalhousie Act, 1848. Dalhousie Collegiate School, 1849-54. Dalhousie High School, 1856-1860. Presbyterians, education, and J.W. Dawson. What to do with Dalhousie? George Grant, the Kirk, and the two synods' agreement. The Dalhousie Act of 1863. Attempts to repeal it, 1864. 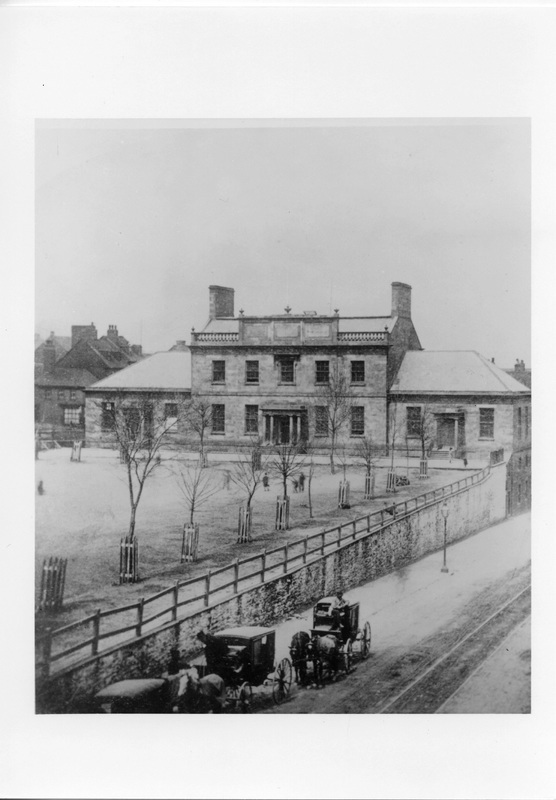 "As the 1840s ended, Halifax was beginning to feel the accelerating pace of change. It began with steamships. Howe met up with one on his way to England in May 1838. He was twenty days out of Halifax with several hundred miles to go, his sailing ship, the Tyrian, was rolling about in a dead calm, when out of the west, underneath a pillar of black smoke, came a steamship. 'On she came,' reported Howe, 'with the speed of a hunter, while we were moving with the rapidity of an ox-cart loaded with marsh mud.' She was the Sirius, fourteen days out of New York on a trial run. Samuel Cunard’s steamers began regular runs from England to Halifax and Boston two years later, RMS Britannia arrived in Halifax at 2 AM, 17 July 1840, and after a few hours went on to Boston. She was carrying mail - letters with the first new postage stamps issued in May 1840, the penny black and the twopence blue. The market is abundantly supplied and provisions are exceedingly cheap... The day was uncommonly fine, the air bracing and healthful, the whole aspect of the town cheerful, thriving and industrious. I carried away with me a most pleasant impression of the town and its inhabitants..."